BigBelly Solar was growing so rapidly its infrastructure was essentially bursting at the seams. An informal assortment of spreadsheet-based point solutions had been assembled to handle its business processes. Basic editions of Salesforce, QuickBooks and Excel comprised the backbone of their business management system for CRM, accounting and asset tracking functions. “Our challenge was to create, design and implement a truly scalable, end-to-end infrastructure solution that would allow us to continue our significant growth,” said Chris Summersgill, Vice President, Operations at BigBelly Solar. “We were looking at how we get rid of all the manual spreadsheets, eliminate all the rekeying that we were doing.” They also wanted to avoid building a hard and fast computer infrastructure and continue operating in a cloud-based environment. Summersgill called on the Keystone team to implement an ERP that would integrate the BigBelly Solar business processes with Salesforce so only one set of data would be utilized throughout the entire quote-to-cash cycle. Together, Keystone and BigBelly evaluated potential ERP systems that would work well with Salesforce in a cloud-based environment. Salesforce plus NetSuite came out as the best solution. “Salesforce and NetSuite were the right tools for us and Keystone was the right partner for us.” Summersgill said. “They remain the subject matter experts when it comes to understanding Salesforce and NetSuite and making them work correctly for our business situation.” As an official partner of both NetSuite and Salesforce, Keystone has an expert level of proficiency in both systems. And their proprietary integration platform quickly and efficiently automates data transactions between the two systems. The spreadsheet-based collection of systems under which BigBelly Solar used to operate is gone. “Now all of our product data lives in NetSuite and is pushed to Salesforce.” Today, BigBelly Solar sales, accounting, manufacturing and customer service teams access one set of data to generate a quote, order, fulfillment and invoice. The need to rekey data in separate spreadsheets for various uses has been completely eliminated, and along with it increased potential for error. 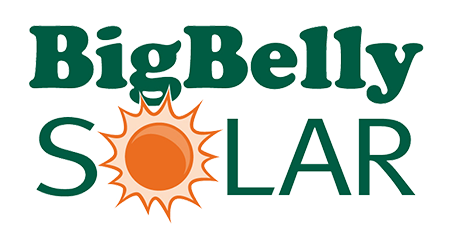 BigBelly Solar provides solar-powered trash compactors, recycling and composting receptacle systems that use sensors to monitor and report fullness levels in real-time for more efficient waste removal. BigBelly is a small, but fast growing company that had no formal information technology framework in place. A cloud-based patchwork of disparate systems, including Excel, Salesforce and QuickBooks, couldn’t keep up with the escalating demands of the thriving business. Develop an integrated, cloud-based business management platform to eliminate duplicate data entry, reduce errors and evolve with BigBelly’s needs. Keystone Business Services designed and implemented customized configurations for Salesforce and NetSuite, and integrated their functions with its proprietary software interface. Keystone Business Services streamlined businesses processes at BigBelly Solar throughout its entire quote-to-cash cycle. The resulting efficiencies saved BigBelly from hiring three additional FTEs, which they estimate saved hundreds of thousands of dollars.